Can you tell us what this book was about? 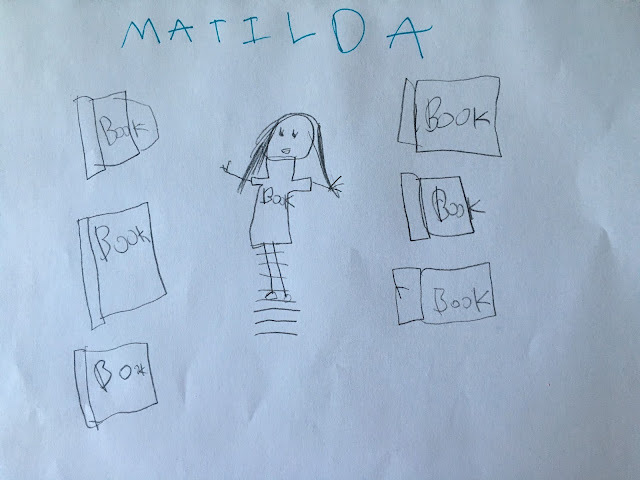 It's about Matilda. She likes to read books and go to school. It's also about Miss Honey and the Trunchbull. My favorite part is when she does the things that the parents get something bad back from Matilda. I like the school part too and I also like it when Miss Honey shows Matilda to her cottage. Matilda and Lavender and Miss Honey and I kind of like the Trunchbull because I am interested to see what she would do to the kids. Would you recommend this book to a friend and why? Yes. Because it is very interesting and so far has been really good.